Many of us started blogging to chronicle our lives, or share a hobby, or just as an outlet for our thoughts, without giving monetization any thought. There are many ways to make money from your blogging: through affiliate marketing, your own product, ads, sponsorship, etc. 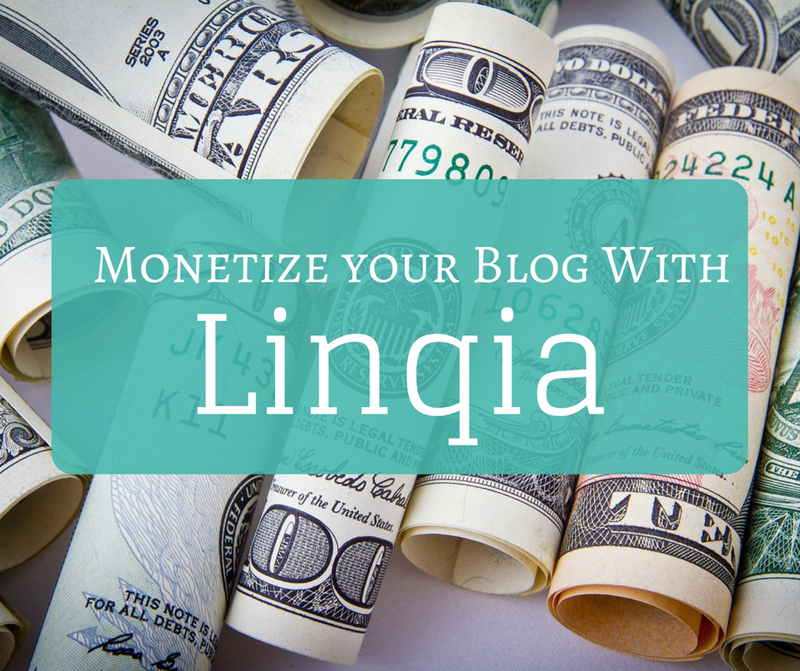 Today I’ll share with you how I made a bit over $1000 in a month with Linqia. What Is Linqia And How Can I Make Money With It? As I mentioned above, one of the ways you can make money with your blog is through sponsored posts. You can find these by reaching out to brands on your own, or by signing up with an influencer network. 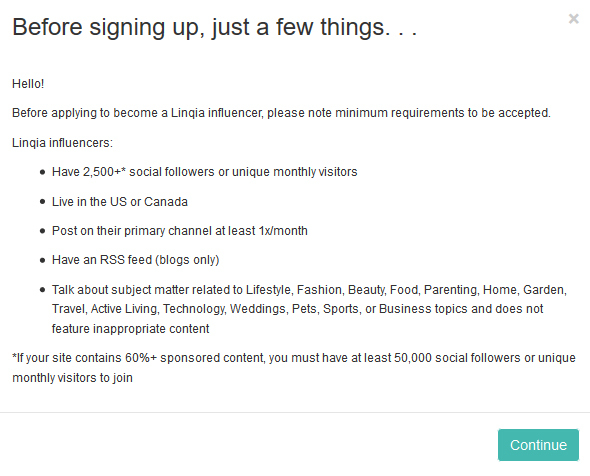 Linkia connects influencers (that’s us, bloggers) with brands. What does that do for brands? This is where you come in: if you have the right audience for a brand, you can work together for mutual benefit. Linqia is a pay per click (PPC) netwok, which means you make as much money as you are able to drive traffic to the brand during a specific time frame. I first heard of Linqia about a year ago, and dismissed it, because I thought I could never send enough traffic to make it worthwhile. But I was wrong! I applied some time in November and was accepted into the program in December. I also got my first campaign in December. I’ve since applied for a second account (for another site) and been accepted in it as well. I’ve done 2 campaigns in this second account in the past 2 months and made over $1000 in the last month. Want to sign up for Linqia now? Here’s my link. Do I qualify to work with Linqia? If you can take care of these requirements, go ahead and apply. Fill out your profile completely, since that’s how they’ll know what campaigns to send you. And watch your email for a reply from Linqia. Once you are approved, you should start getting invited to campaigns that fit in with your audience. I received invitation on both of my accounts within the first month after applying. When you get an offer, you’ll need to accept it and the terms that come whit it. Make sure you read that email carefully, as you need to do some very specific things as part of your campaign (nothing too hard, but you need to make sure you can perform). Some people didn’t get an offer for several months. If you don’t get your first campaign offer in the first 30 days after being accepted, I suggest you contact Linqia and inquire about any campaigns that fit your audience. Make sure you tell them a bit about your audience in that contact email. Be proactive for best results! 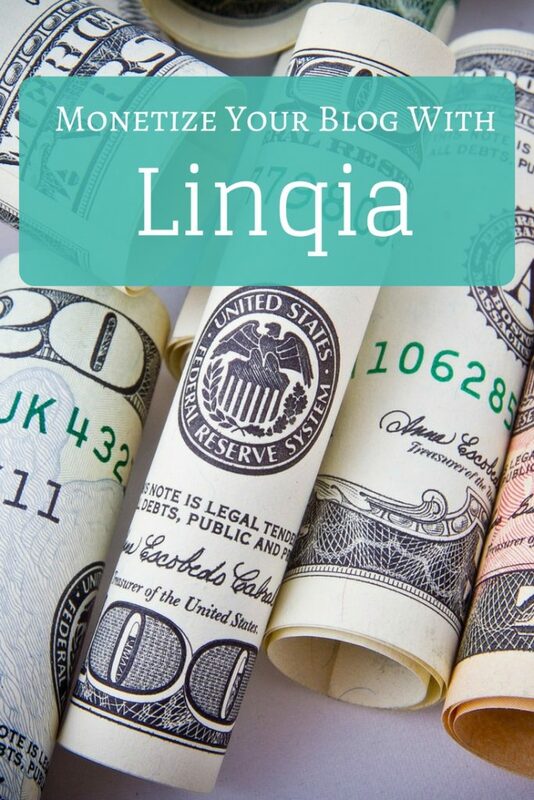 How Much Money Can I Make With Linqia? How much money you can make depends on the size of your audience. For my first campaign on both accounts I made less than $200. You are initially offered a smaller number of clicks (clicks you need to send to the brand). Depending on how well you do, your next campaign can make you a lot more money. Here’s an example from my second account, which is a gardening site. My first campaign had a limit of 124 clicks because of my small audience. My blog only gets around 200 visitors a day, and I have a Facebook page with about 15K followers. I delivered those 124 clicks in the fist 2 days of the campaign (usually campaigns last about a month). But I didn’t stop promoting: I continued sharing my blog post and campaign links to my FB audience. I ended up sending 1349 visitors to the brand’s site before the end of the campaign. Yes, I only got paid for the first 124 clicks. But 3 days after that campaign was over, I was invited to another one, from the same brand. This time they increased my visitors allowance to 737. As you can see, how much money you make only depends on you. If you work hard at building an engaged audience, and doing what you can for your brands, you’ll be rewarded. Another way to make money with Linqia is through their affiliate program. For every person you recommend (and gets accepted) you get $5. When they finish their first campaign, you also make 15% of their earnings (one time only). I happened to invite a blogger with a large audience, and their first campaign gave me more than $100. So, between my own campaigns and the money from my referral, I made close to $1200 in a month. I find it very easy to work with Linqia, and hope I gave you a glimpse into what YOU can do too.